Embriette is the Project Manager for the American Gut Project, one of the largest crowd-sourced citizen science project in the USA. She established the American Gut Project as a key force in microbiome research, highlighted through the White House’s National Microbiome Initiative and expanded the project into Asia. She is passionate about bringing specific cohorts into the project, including fermented foods consumer and athlete focus groups. 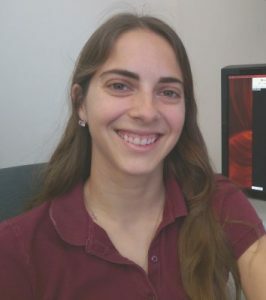 Academically, Embriette joined the laboratory of Dr. Joseph Petrosino, director of the Alkek Center for Metagenomics and Microbiome Research at Baylor College of Medicine, where she deepened her work analyzing microbial communities. At the University of California, San Diego, she joined Dr. Rob Knight’s lab to study both the environmental and human microbiomes, how the intricate ways the microbiome can affect our health, — and what it means to be human. Collectively, her work garnered recognition in the 2016 Forbes 30 Under 30 in Science.